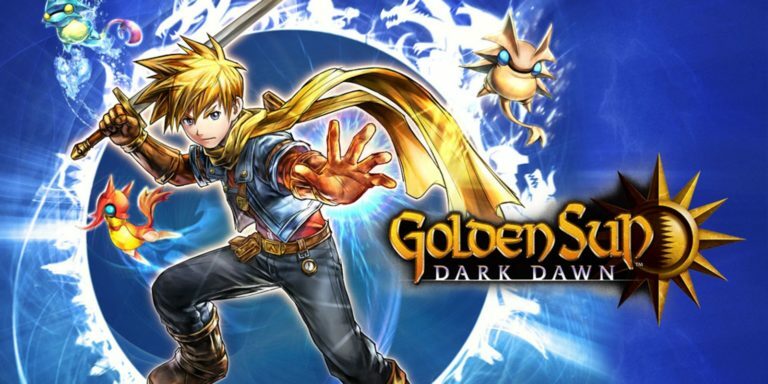 I picked up Golden Sun: Dark Dawn one night when I saw it on the shelf at Best Buy for $5. It doesn’t bother me to play a game in the middle of a series I’ve never touched before if I spot it on sale. And as long as it’s not one of those silly “kidz” games or the 7th incarnation of Naruto or Bleach. I have standards, you know. And what sort of person would I be to pass up a $5 JRPG? I mean, really. This third installment in the Golden Sun series features the children of the Adepts from Vale who allowed Alchemy to return to Weyland. It’s been thirty years since Issac, Garet and the others healed Weyland by unleashing the Golden Sun at the cost of some continent shifting and various other side effects. But now Psynergy Vortexes have opened up, something discovered when Garet’s son Tyrell (Fire Adept) hijacks a Soarwing and crashes it in a nearby mountain range. Now Matthew (main character, son of Issac, Earth Adept), Karis (daughter of Ivan, Wind Adept) and Tyrell start off on a journey of their own to discover what is causing these vortexes to appear, seeing first hand how their parents changed their world, thanks to an early altercation with three shady characters calling themselves Chalis, Blados and Arcanus. With guidance from Kraden, a wise man who once aided their parents, the children meet up with other Adepts who want to help them discover the truth and protect Weyland as their parents once did. Investigate every nook, cranny, barrel and pot – you never know what you might find! 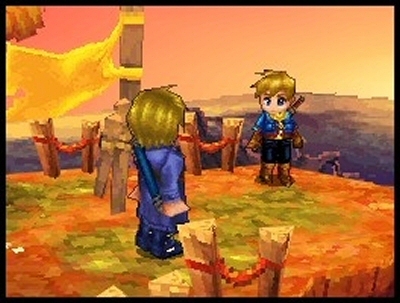 Golden Sun: Dark Dawn plays as you would expect any JRPG to; there are dungeons to explore, towns to visit, puzzles to solve, and a map to run all over in hopes you’ll discover secret areas filled with cool loot. There are errands to run for townsfolk as bonus quests should you choose to accept them, usually giving you some nifty piece of gear or cash payment in return. It was a little light on sidequests as a whole, but I didn’t mind that one bit. There was so much to do and discover throughout the course of the story that I didn’t find that I wanted to be distracted with extra atuff on my To Do list. 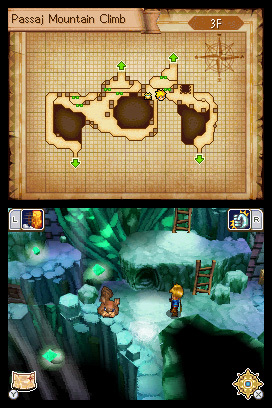 One of my favourite things about Golden Sun: Dark Dawn was all the puzzle solving I got to do at the elemental shrines and temples. I’ve always loved a good brainteaser, and there were plenty of opportunities for me to give the grey matter a good workout. Nearly every dungeon has some sort of puzzle to tackle, whether it be something small like pushing switches or more in-depth like making your way through a maze of a forest. You can map two of your party’s abilities to the L and R buttons for easy access. Since I’d never played any of the previous Golden Sun games, Psynergy abilities were new territory. Since your party members are Adepts, each of them has unique abilities granted to them via the planet they are associated with. As an Earth Adept, Matthew can move stone columns, cause plants to grow, and grab hold of distant spires to move over wide gaps. Karis can create whirlwinds and Tyrell is a bit of a firestarter. Two abilities from any member of your current party can be mapped to the L and R buttons for easy access and can be changed up anytime as the situation demands. But if you’d rather not, simply scroll through the menu and seek out the ability you need to use. One of the main reasons I picked up Dark Dawn was because I’d been in a bit of a turn based battle funk. Final Fantasy XIII had been quite the let down for me story-wise so I avoided XIII-2 like the plague. What I wasn’t expecting that made me happy to no end was discovering that unlike most games in the genre, when my active party fell in battle, the reserve characters instantly took over. There is nothing worse than having your party die during the last boss battle with less than a hundred or so hit points of damage left on his meter. Not only that, it never made sense to me why the RPGs I’ve played had never done this before. Maybe I just haven’t been playing the right ones. Regardless, that bumped Dark Dawn way, way up on my favourite RPGs of forever list. 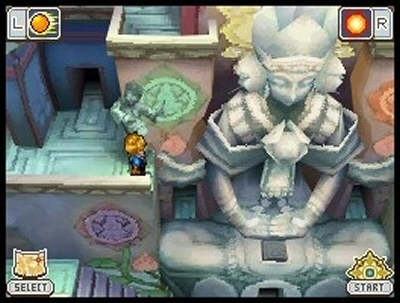 Djinni can be found in dungeons or hiding on the main map. Most JRPGs have some type of creature that you can call into battle for that extra boost to oomph. In Golden Sun, we’ve got cute little Djinni to bolster our rosters. The four types of Djinn follow the same planetary alignment as the Adepts, and each one grants added battle bonuses that can be used as often as they recharge during the fight. But the real power strikes come by way of unleashing their combined power to bring forth great summons. Each summon requires certain amounts and types of Djinn to be in reserve mode, with the most powerful of them requiring the discovery of stone tablets around Weyland to unlock. This boost of power is a tremendous help when dealing with those pesky boss fights. 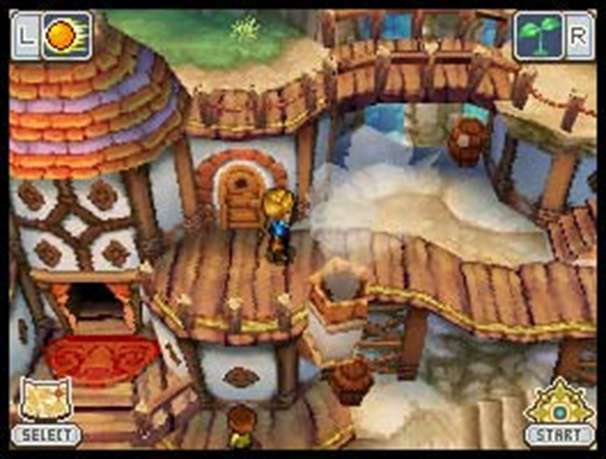 Golden Sun: Dark Dawn had everything my JRPG tooth was craving – dungeons to grind in, towns where I could pawn off all the low grade herbs I’d collected for better gear, and chibi-characters that I (mostly) fell in love with. And it was all nicely wrapped up in a portable package, meaning I could play it while my husband was at work and when the two of us spent quality time together in the living room at night catching up on TV and chatting about our days. Playing through Dark Dawn also has me planning to hunt down the original GBA cartridges so I can enjoy the full Golden Sun experience. It’s always a plus in my books when an impulse buy sends me out scouring to add to my game library.